Randy Chafin Named BHS Gem! 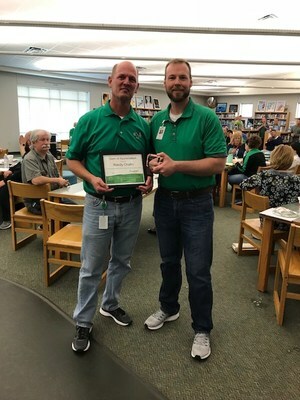 Mr. Chafin provides calm, dependable leadership at Burnet High School. He is ever ready to help any and everyone with any need. He has great relationships with students and teachers alike. Mr. Chafin is always ready to lend a helping hand and is not afraid of hard work. He is as constant as the North Star amd BHS could not function without him. He is a special kind of leader...a Gem in our book. Congratulations Randy Chafin...one of the good guys!